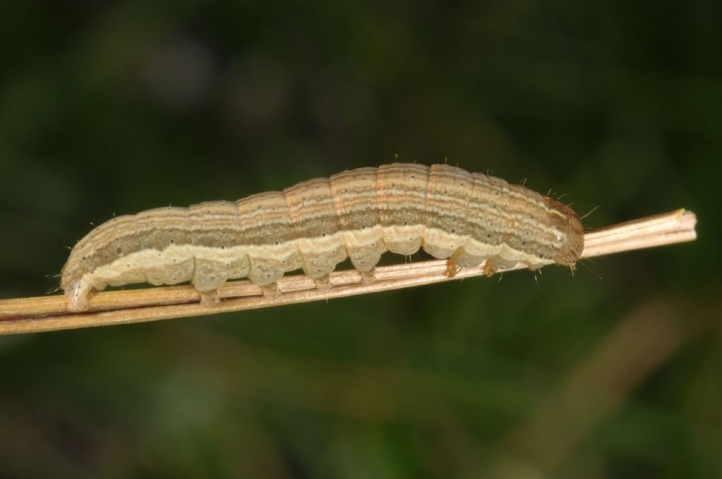 The caterpillars live on grasses, mostly of productive species such as Arrhenatherum elatius, Dactylis glomerata or Calamagrostis epigejos. Mythimna pallens inhabits grassy, extensively managed places from moderately moist to moderately dry with an peak in mesophilic stocks. 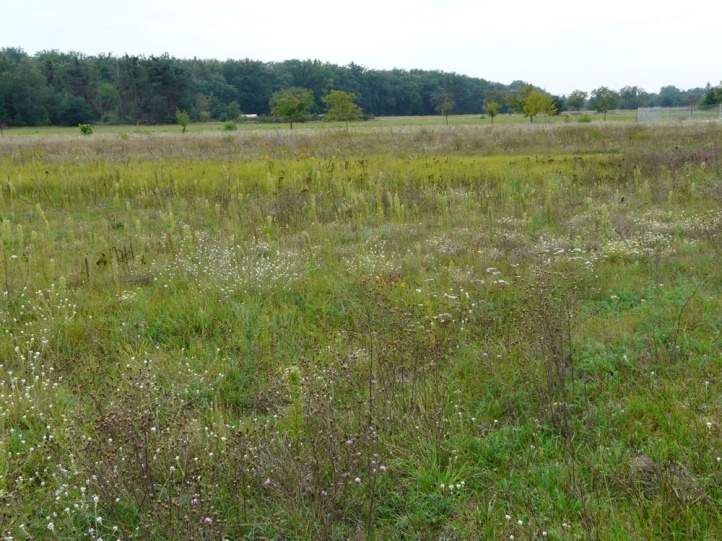 These include fallow land, extensive areas of Arrhenaterum meadows, embankments, field edges, roadsides, nutritious stocks of semi-dry sand grasslands, forest edges, flood dams and other areas. In the wet area it is gradually replaced by Mythimna impura. 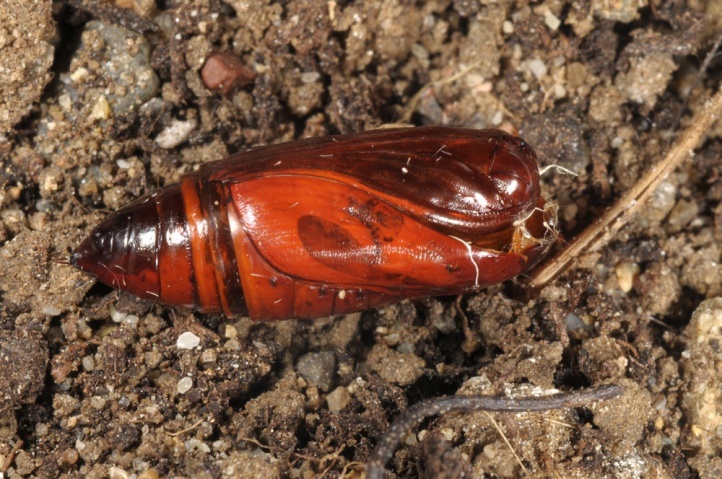 Mythimna pallens usually flies in two generations from May to September. In cooler areas, sometimes only a single generation is formed (June to August). 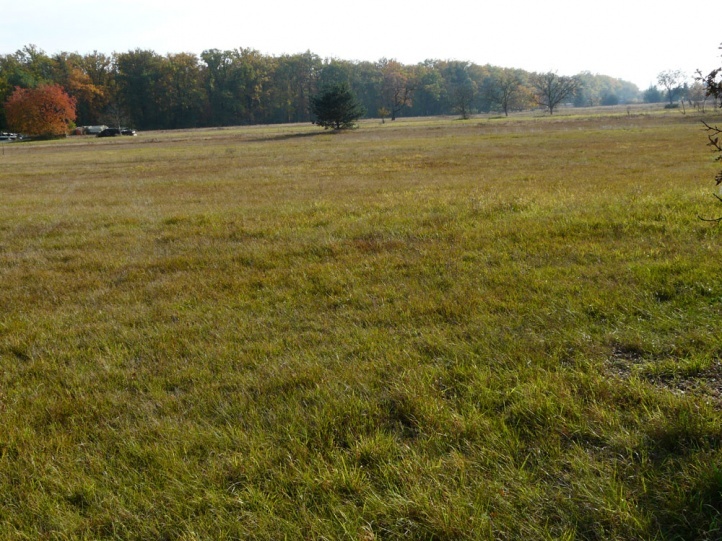 The caterpillar overwinters half-grown. 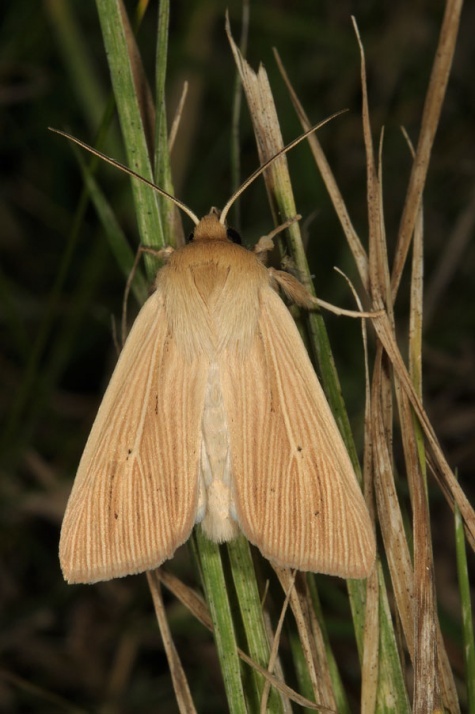 I found it in September and October along with the much more numerous of Mythimna albipuncta, M. conigera and M. ferrago in Arrhenaterum- and Calamagrostis-rich, nutrient-rich stocks of sand grasslands in the Upper Rhine Valley. 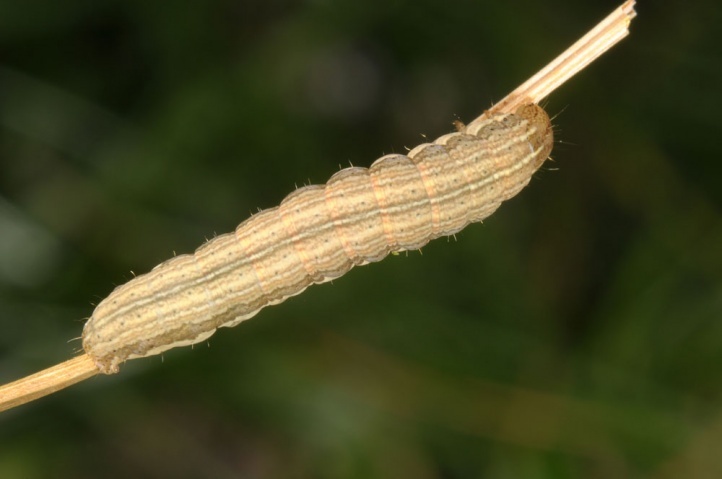 The caterpillar is found much less frequently than those of the related species, which would probably be due to a something more hidden and ground-near lifestyle, because the moth is actually supposed to be fairly widespread. 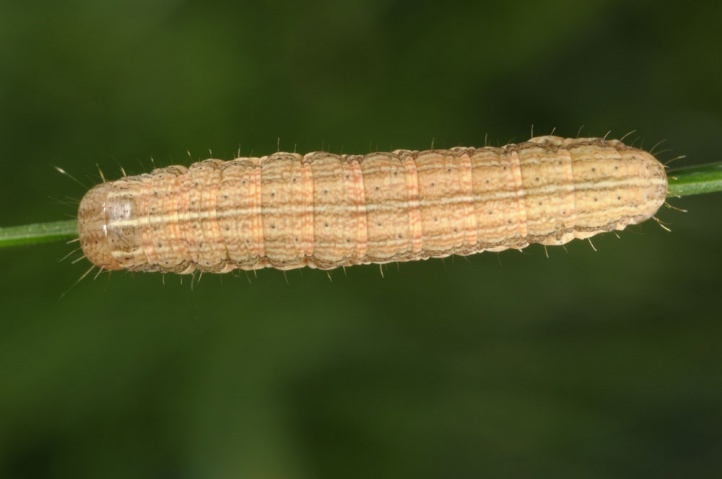 Mythimna pallens is very widespread but usually not very abundant in Europe and temperate Asia. 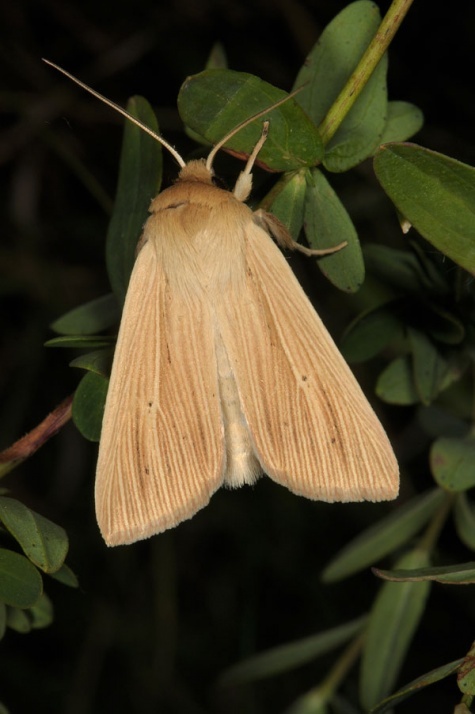 In Europe, Mythimna pallens is more common north of the Alps than in the south, where it can be quite rare and locally in the Mediterranean.